With a location overlooking Philadelphia’s quaint cobblestone streets and an A-frame cabin in the woods of New Jersey, the growing hotel group is already a favorite among those looking for a stylish place to stay. And as you may have guessed by the name, owner Chad Ludeman puts an emphasis on locally sourced materials. That’s why Provenance’s wood is featured prominently in each of his hotels. Ludeman’s latest addition is in Fishtown, one of Philadelphia’s hippest neighborhoods. Located beside the rumbling El train, it’s a short stroll to boutiques and all the city’s must-try restaurants (we recommend reserving a seat at Wm. Mulherin’s Sons and Suraya). The minimalist haven has six suites done up in effortless Scandi-style. 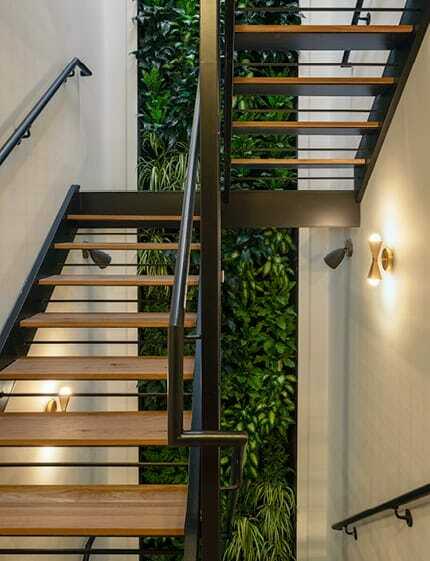 Provenance’s live sawn white oak flooring was used throughout the entire space and matching oak stair treads offset the leafy living wall in the hallway. 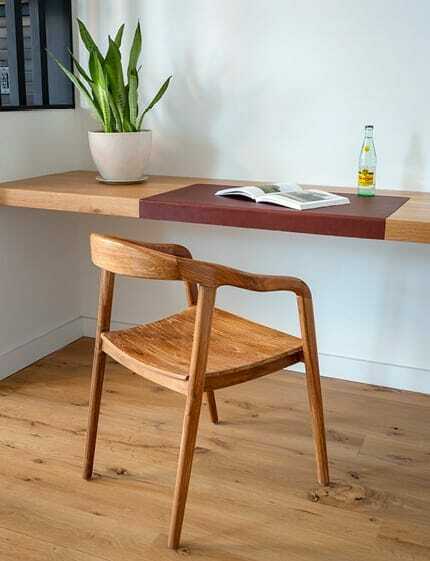 With its modern, spare lines, it’s exactly the type of place design fans love kicking back at during their visit to the City of Brotherly Love.